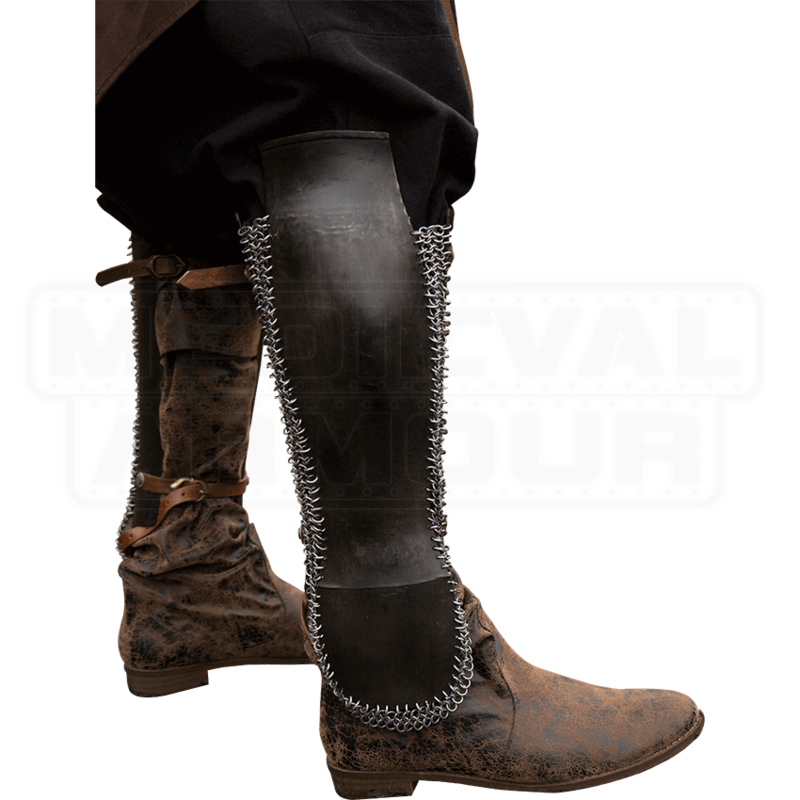 Harkening back to the times of ancient Troy and the warriors that fought against heroes of legend, the Persian Greaves - Epic Dark are leg protection that emanates martial prowess. These steel greaves go with any warrior outfit! Made from rolled 19 gauge mild steel, these incredible greaves possess a unique construction that wraps around your leg from the side with the help of chainmail. The steel has been blackened for that dark, powerful look, while the chainmail is of a polished steel, providing a nice contrast. Buckled leather straps secure the greaves to your legs and allow you to adjust them to best fit you. 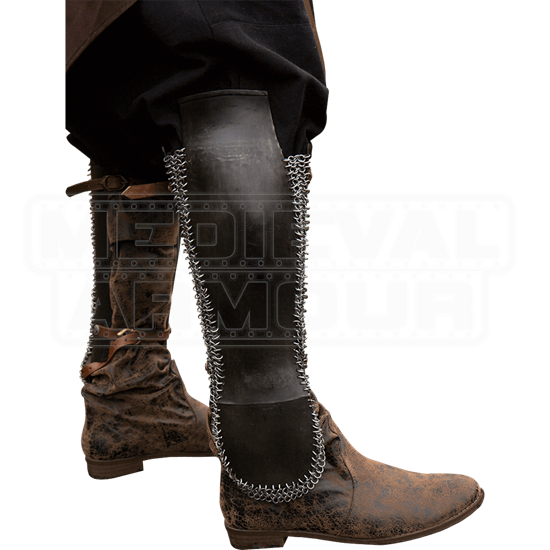 Add these greaves to your LARPing outfit, Ren Faire costume, or cosplay and keep your legs safe!